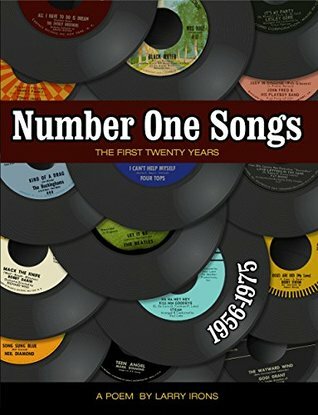 Number One Songs - The First Twenty Years is a unique, clever and very entertaining poem about the 436 number one songs in Billboard from the birth of rock and roll in 1956 to the beginning of disco in 1975. Larry Irons intertwines an interesting mix of facts,trivia, anecdotes, humor and personal knowledge about the songs and artists from the perspective of a successful disc jockey for more than 30 years. 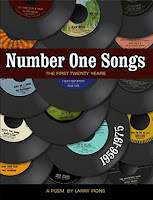 Number One Songs - The First Twenty Years has been endorsed by many in both radio and record promotion, including Steve Resnik, Co-Founder of RAMP (a daily newsletter for Radio And Music Professionals); Dave Sholin, former Top 40 editor of the Gavin Report and former Music/Program Director of KFRC San Francisco; Guy Zapoleon, Senior VP with iHeartMedia; Jon Zellner, Senior VP Programming with iHeartMedia; Sean Ross, RossOnRadio Newsletter; Mike Huckabee, Fox News Host, former governor of Arkansas and former disc jockey; and Mike Martucci, former VP with Roulette Records.